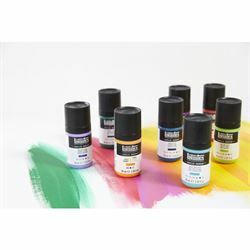 Since developing the first water based artist acrylic products in 1955, Liquitex has always been concerned with the needs of the professional artist. 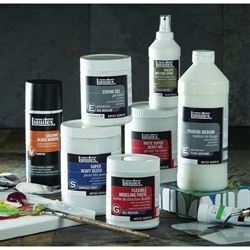 All Liquitex products are formulated by a unique team of chemists and artists: chemists with a wide array of skills in resin technologies and artists who help us to stay focused on the working properties. 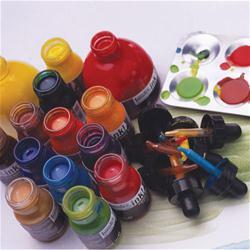 This combinations allows us to make the most versatile ranges of intense, highly loaded, permanent colors possible. 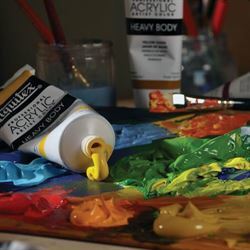 Liquitex is the only acrylic brand to offer three uniquely different ranges of professional color to suit the needs of the artist. 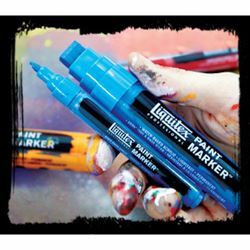 That in mind, range-specific handling characteristics are established so that every Liquitex paint feels just right – never too sticky or slippery. 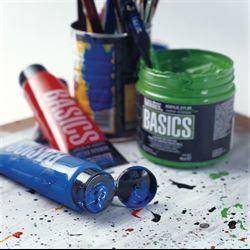 The low-odor acrylic resin base represents the latest in acrylic resin technology, offering increased open time and producing colors of great clarity with very low wet-to-dry value shift. 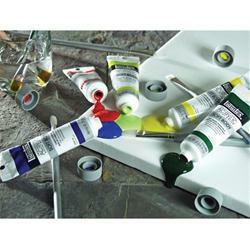 The paint films are highly flexible, durable, non-yellowing, UV resistant, water-resistant and pH neutral when dry. 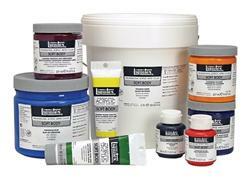 All Liquitex Professional Colors can be intermixed with each other and as well as all Liquitex Mediums.